Equip only to a monster you control. Once per turn, you can look at 1 random card in your opponent's hand. 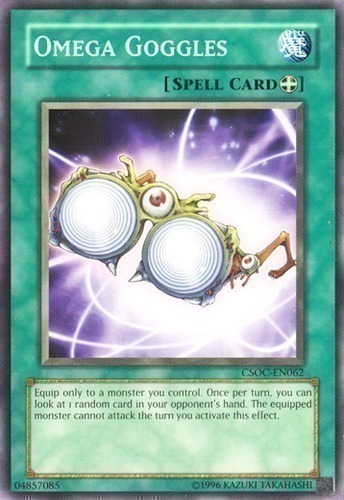 The equipped monster cannot attack the turn you activate this effect.